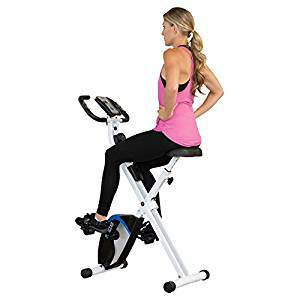 If you are looking for a bike that would enable you to have light cardio exercises right from the comfort of your home, then the ProGear 225 is the upright bike that is perfect for you. Its highlighting features include a foldable frame and adjustable magnetic resistance. The bike is also able to track your pulse. Let’s take you through the point-by-point review of the Bike’s features to help you decide easily. ProGear 225 is another upright bike in the market which is quite basic with a frame made of steel tubing and coated with a corrosion resistant paint, available in white color only. The bike is really compact with a footprint of 32″L x 17.5″W (81 x 44.5 cm) when in use which is reduced to 19″L x 17.5″W (48 x 44.5 cm) when folded for storage. Therefore it is an excellent choice for apartments and small homes. The bike is also very light-weight and manageable as it weighs only 34.8 lbs. (15.7 kg) when fully assembled. The light-weight construction along with the front base tube enable the relocation to any room conveniently. Moreover, the rear base caps are polygonal in shape which also plays the role of stabilizers when it comes to keeping the bike stable while riding. The bike can support riders who weigh up to 220 lbs. (100 kg) only though which can be regarded as a drawback since the range is not much. The ProGear 225 foldable magnetic upright bike comes with a 2-way adjustable seat. The upright post of the bike features adjustable positions and can, therefore, accommodate people of heights from 5’1″ to 6’0″ (155 – 183 cm). The saddle has a contoured surface and is made of rubber foam material, and is wide enough to offer optimal comfort to the users in all the upright workouts. The saddle is attached to the adjustment bar via a triangular plate which is a standard design and enables the replacement of the seat conveniently. The handlebars come in a multi-grip design while they aren’t adjustable. They feature a layer if rubber-foam in order to provide a secure grip as well as comfort. Both the handles also integrate an EKG pulse sensor which can keep a track of the pulse and display it on the console. The bike has a magnetic resistance system which is manual and constitutes a small magnetic brake which is attached to the tension knob through a steel wire under the handlebar. Turning the knob will change the position of the magnets in reference to the flywheel and in turn decrease or increase the resistance on the pedals. 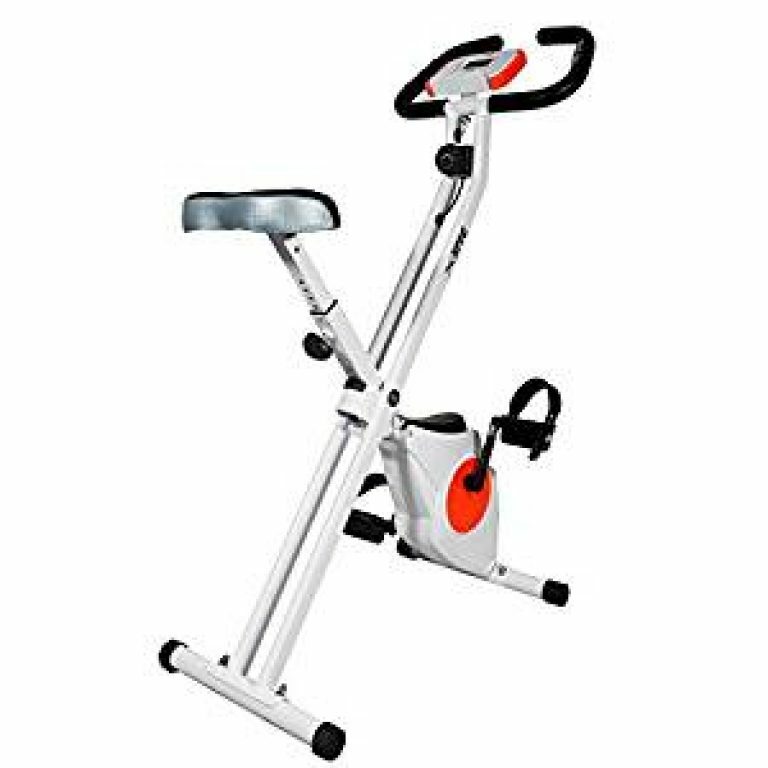 The ProGear exercise bike offers 8 different levels of resistance and each of these levels is marked on the tension knob. The first level delivers the least tension while the 7-8 levels offer the maximum tension for you to conduct a moderately intense workout. In other words, the bike isn’t meant for highly intense workout routines. The drive elements of the bike include a balanced, perimeter-weighted flywheel, which helps in delivering a smooth pedaling feel. Evidently, the flywheel is not extremely heavy. Its weight is not specified, but it should be somewhere around 8-10 lbs. like most of the magnetic resistance bikes, the ProGear also features a belt drive system. The belt is solid and stretch resistant meaning the pedaling will make no noise and the belt won’t also require any lubrication. It is equipped with a 3-piece crank along with steel arms. But it isn’t recommended to stand while pedaling as the bike doesn’t offer the stability of a spin bike. The bike comes with an exercise meter which is able to read pulse while functioning as an odometer. Most of the bikes in the similar range don’t offer this features so the ProGear 225 is more inclusive. It can monitor speed, distance, time, calorie count and pulse along with total distance. The console is not telemetric so you will have to hold the pulse sensors in the handlebars to track the pulse. The console is easy to use since it has only one button. It will turn on once you push the button or the flywheel is turned on. Most parts of the bike come assembled like the flywheel, crank, belt and brake pad are already attached to the frame. Also, the two major parts of the frame are already connected, so basically there is not much for you to do. You will just have to attach the seat, the handlebars, the pedals, and the console. The bike works on belt drive with magnetic resistance, so it internal parts hardly require any maintenance. You would only have to keep it safe from dust and check occasionally whether the bolts are tight enough or not. The design frame is stable and durable. Small footprint and folding design enable you to save up space while usage as well as storage. Multi-grip handlebar with integrated pulse sensors. Magnetic resistance system that provides 8 different levels of resistance. Able to measure fitness metrics from time, speed and distance to calories and pulse. Smooth belt drive that provides quiet operation. Easy to assemble and requires little to no maintenance. No bottle or tablet holder. The console display doesn’t come with a backlight. The calorie count is not so accurate. 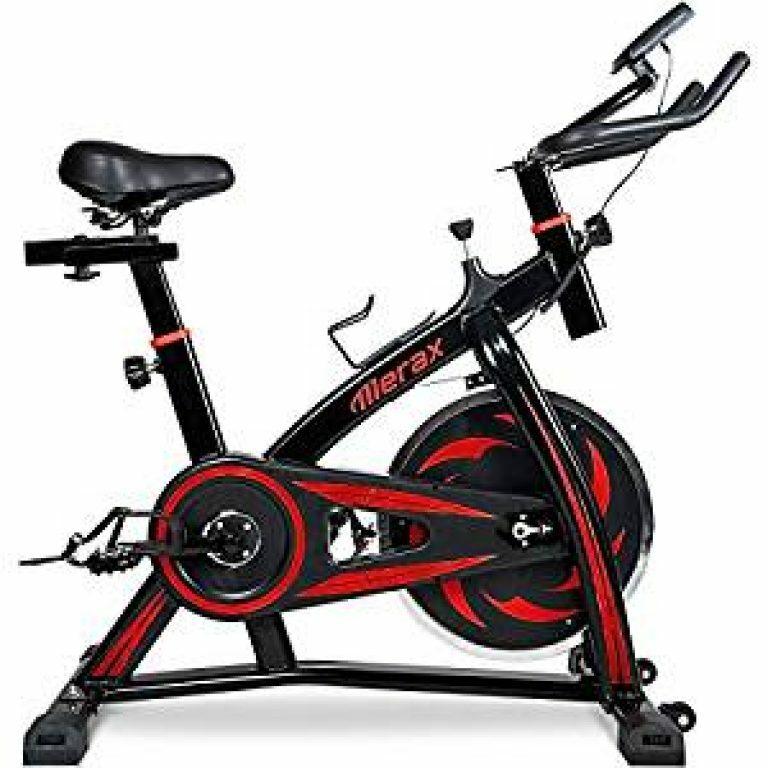 The ProGear 225 is a great value for your money which is foldable magnetic upright bike and it features8 different levels of manual magnetic resistance, a quiet belt drive, as well as a fitness meter which enables you to keep a track of time, distance, speed, calories, and pulse. The bike is ideal if you are looking for a light to a medium cardio workout routine, stamina enhancing, and muscle toning. It can also help you lose weight, by working out for at least half an hour in the highest resistance setting, if that’s your goal.